In 1812 the Georgian poet, essayist and radical journalist and Leigh Hunt spent two years in Horsemonger Lane Gaol, Surrey for libelling the Prince Regent. 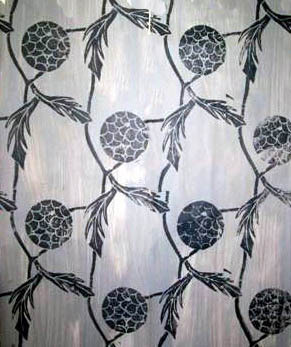 Funded by Shelley, he decorated his rooms at with a sky-blue ceiling and rose-trellised wallpaper. 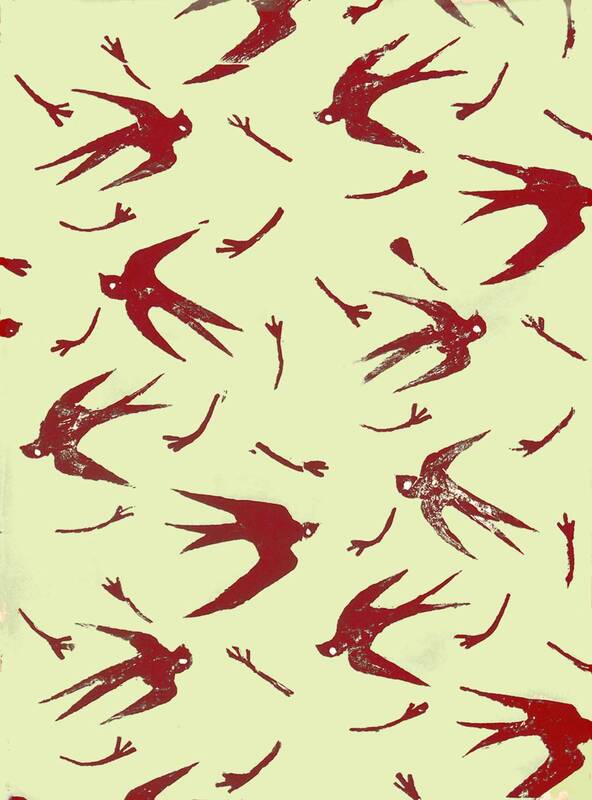 In 2009 I devised and delivered a wallpaper printing workshop programme at HMP Bronzefield, together with artist Hugh Dunford Wood. A mixed-category local women’s prison near Heathrow Airport, it is run by the global services company Sodexo which manages prisons in many countries across the world including four in the UK. (Mission statement- Justice Service Solutions provided by Sodexo). Sodexo rent the building from the Home Office, whose lease states that the prison must be returned in the same condition. 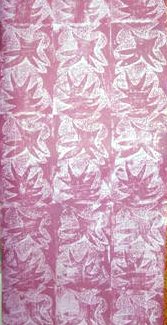 Despite this preventing wallpaper being hung anywhere in the prison, much of the prisoners’ beautiful papers are displayed on a large panel hung on Main Street, the prison atrium. You can see some of these here.